On Monday I went for my yearly eye exam, and a field of vision test. I look forward to this appointment almost as much as I look forward to my yearly gynecologist visit! (There’s a hint of sarcasm here.) My eyes are extremely sensitive, so I hate having those drops put into my eyes. It’s not much fun staring into that machine for the field of vision test either! (My medical doctor requires a yearly field of vision test because one of the medicines I take, for rheumatoid arthritis, can cause vision problems.) My poor, tired eyes remained dilated for over seven hours after the exam was over! The good news is, I didn’t need new glasses, and I don’t have to go back for at least a year! On Tuesday, I went with my daughter to take her daughter to the doctor, for a check up. We left early enough to eat lunch out, then shopped a little bit before and after the appointment. It had been ages since the three of us had been able to go on an ‘outing,’ and we had fun. After almost seven years of taking her daughter to see a practicing group of pediatricians, my daughter, Brandy, decided to switch Madison over to the care of a family practitioner. Apparently, it’s a good thing Brandy made the switch! On the first visit, a nurse practitioner discovered that Madison has a heart murmur. We found it amazing that none of the previous pediatricians had ever bothered to mention this before! The nurse practitioner doesn’t think Madison’s murmur is serious, but she scheduled an echo cardiogram to check things out a bit further anyway. This wasn’t the first ‘mistake’ this group of pediatricians this group of pediatricians have made concerning Madison, but it will, definitely, be their last! On Thursday I was supposed to have a mammogram, but the mammogram machine broke on Wednesday, so I had to be rescheduled. Hopefully, I’ll be able to get it over with have it done next week. I.Can.Hardly.Wait. I don’t mind having the exam as much as I mind waiting for the results. I had a cancer scare a few years back, so now I dread mammogram time. Ed’s taking a vacation day today, so he’s home with me. For now, he’s required to take a day off every two weeks, due to low patient census at work. I have a long ‘honey-do’ list awaiting his attention, so his day won’t be wasted :). Fixing the toilet is at the top of that list! Our toilet still flushes, but it takes ten minutes, or more, for the tank to fill back up with water. Digging sweet potatoes is also on that list! Sounds like a fun day, huh? As for me, I plan to rake some pine straw, clean the bathroom, and if those sweet potatoes get dug up, I’ll help pick those up, too! We’re having a family get-together on Saturday night, in honor of Ed’s recent birthday, and I need to do some preparations for that, as well! It’s always great to have everyone together again, especially when birthday cake and ice cream is involved 🙂 Two cakes in one week–you go Ed! In reading back over my fragments, I guess it wasn’t such a wasted week after all! I managed to get a few things crossed off my ‘to do’ list! 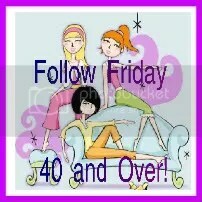 Have a great weekend, everyone, and thanks to Mrs.4444 at halfpastkissintime for hosting Friday Fragments!